Our most popular pie among our American clientele. A classic for the Brits too! Beef (steak), Pastry (Wheat Flour, Water, Lard, Non Hydrogenated Vegetable Shortening (Palm & Canola Oil), Salt, Dough Relax El7 (Soy Oil, 2% Or Less L Cysteine, Ascorbic Acid, Enzyme)), Ale, Gravy Powder (Water, Modified Starch (Maize), Salt, Wheat Flour, Caramel Color, Dried Onion, Dextrose, Yeast Extract, Spice, Natural Flavor, Tricalcium Phosphate (prevent Caking)), Pepper, Glaze (Maltodextrin, Dextrose, Color (Caramel), Emulsifier (Carboxymethyl Cellulose). They were just as I remembered them from living in England. Very tasty and went really well with mashed potatoes. Would recommend them. As was the other items i ordered, the steak & ale pie was my very first ever. My only regret was that i did not order the large. It was my favorite of the bunch. Awesome flavor and the pie crust was of course top notch. I will be stocking up on these for sure on my next order. It's a little bit of the English chip shop in your mouth! 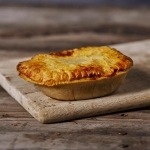 I am a huge fan of all the EPPC products and this pie ticks all my boxes for that perfect pie! I have searched everywhere for a good SCOTCH EGG--finally I have found them at the Pork Pie Company!5 stars is not enough!!!!!!!!!! I thoroughly enjoyed the pie. It was very good but not quite as good as the pies baked by my mother in England when I was young, more than 70 years ago. Mouth watering steak and ale pies at their best. This pie was wonderful, it reminded me of home in the UK. Pie and filling are delish. All quality ingredients. So delicious, tasty and delicious pastry and filling. The Steak & Ale Pie MORE is so good that it deserves more than five stars. I'm going to stock up on it and many more of their delicious items before the warm weather arrives! Loved the flavor and the crust is delicous.Bought the Steak & kidney this week sure it will be just as good. My family is English and my Grandma made many meat pies. The Steak and Ale pie tasted great(as I remember), and the pork pie was fabulous! Fantastic steak and ale pie! The crust was perfect, flaky and buttery. Order without any worries! First try & I am from Scotland. What a revelation everything including the S & A pie was as good as at ‘home’ well no it was better than we got at home in Glasgow. I cannot tell you how much we are enjoying our order. Of course we have introduced out American family to them & at first we lied & said we made them!! Now they know the truth there will be some orders going! I had Steak and Ale Pie in Manchester last August, and eating this at home just made me long to go back to England. It was delicious and brought such nostalgia with it. Very tasty Steak and Ale pie. Surprisingly tender steak and a rich sauce combined with traditional pastry. one of the best purchases I have made. these pies are simply delicious! So glad I found this website!! As authentic as they come! exceeded my expectations - just like in the old country. Grew up in Toronto eating meat pies from the corner bakery. They weren't called Steak and Ale but the taste was identical. Loved these! have not tried the steak and ale pie yet, I put products in freezer. Did try the plain steak pie and it was wonderful. I was in the UK in December and just loved the steak and Ale pies! Tried making but didnt work! Found these pies and loved them!! Will be buying more for sure!! The best pie of the bunch. And you KNOW that says something big, because ALL of the pies are outstanding! received quicker than expected and all in good order. The bacon is great and will be ordering more. Haven't had the pies yet but I'm sure they'll be just as good. Love them, reminds me of being back home. Although my husband and I have had these before and really loved them ~ this order was sent to my daughter and her husband ~ they really enjoyed them as well! love these - great flavor!! I have not had very many meat pies in my life. However, I enjoyed this one and would definitely order it again. This was almost as good as the pork pies! Reasonable price as well. This took my English husband right back home to a good pub! The whole order was awesome. This product was bought as a gift for my dad. As a dad he is difficult, almost impossible, to shop for. Or was. Now that I have the EPPC he is easy to shop for because buying several pounds of pastry wrapped meat products on-line is simplicity itself. This is supposed to be about Steak and Ale Pies and I'm afraid that I won't be able to make any first person comments about the quality, flavour or freshness of the product. Do not, dear reader, let this dissuade you from thinking that I have nothing positive to say about the product at all. As a matter of fact, the reality of the situation is just the opposite. You should realize that for the very fact that I have not been able to taste one of these delicious looking morsels is indicative of the tastiness of them. Certainly had they been crap my dad would have been more ready to share. As it was the pies overcame any spirit of Christmas the season may have inculcated in him and he devoured them all himself. Often while taunting us with portions of them. Great food and well delivered. Thanks for bringing me a piece of the UK. The Steak & Ale Pie are SCRUMPTIOUS! For the second time we have ordered and really enjoyed the Steak & Ale pie from the English Pie Company! The crust is SO flaky and the gravy so tasty. Thank you for a great food product. I have ordered these pies SEVERAL times and they NEVER disappoint! VERY, VERY tasty with LOTS of delicious filling! This is our second order from English Pie Company -- and we really love these meat pies! Our favorites are the Steak & Ale pie and the Meat & Potatoes pie. My son will grab one going to school -- or coming home. Thank you for an excellent addition to our meals. Crust was delicious. The pie was seasoned perfectly and the meat was tender. The pie was a perfect size for a single serving. I ate my first steak and ale pie in years and was quite disappointed. The pie was too small. LOVED IT!!!!! Tasty & juicy & as good as you will find. Try it you wont be disappointed. Sausages and pies that I ordered were superb . I will be ordering more soon ! I wish I could go there for some fish and chips and much more but will continue to order more to be shipped ! Second time ordering. Delicious as always. Steak & Ale pie is our favorite! Love the Steak & Ale Pies! The greatest surprise is how flaky and crispy the crust gets after cooking for 35 minutes at 400 degrees as per directions! Filling is wonderful as well. Nicely paired with a cold beer. Blows any pre-made frozen "pot pie" I have had out of the water as far as I am concerned. Plan on placing an order again sometime in the future ( : All the best. Bought pork pies, melton mowbray pies for ourselves and other pies for friends. All excellent and arrived in 2 days. Freight cost very reasonable and a fraction of what it used to be. Pork pies taste just just like they did in Yorkshire! 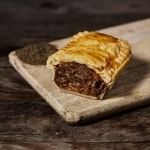 The steak and ale pies are fantastic and I can't say enough about the tomato sausages!! I recently purchased Steak and Ale Pies and Cornish Pasties as a treat for my son working in D.C. for the Summer……just got rave reviews from him & his housemates on the goodies…..& , being half English, my son has tasted the real thing in the UK and this is every bit as good! As an added bonus for me, the delivery price was less than half the price I have paid for similar orders from another vendor…..we will be back for more! Absolute yummy , will definitely be ordering again . These pie are the real thing. I have searched for years in the US to find products that are as close to genuine UK pies as possible. I have visited countless Irish bars and never found anything to match the savory taste of English products. You have to try these. They are fantastic. The entire product range is absolutely fantastic. Delivery is ultra quick. Just keep them in the freezer and use as required. Brilliant. Rich gravy, succulent meat and golden flaky pastry. A real taste of home. Thank you so much. Totally delicious. Will definitely buy again. Steak & ale pie and Cornish pasties are two of my favorites and both were beyond wonderful. I've never had pork pie before (I'm not English but LOVE English food), so I decided to try the variety with Stilton. Just like everything that The English Pork Pie Co. makes, it was absolutely delicious. If they ship during the spring and summer months, I'm definitely going to buy larger quantities of everything! We order this one every time. Very happy with our purchase! Tasty, fresh foods that bring a little diversity and international flavor to our lives. Loved the glorious savor of ale of the Steak & Ale Pie. Tender pieces of steak and the ale gives the pie a nice flavor, I loved it. I was thrilled to get my second box of authentic delicious British meat pies, Cornish pasties, egg custard, mushy peas. food does not get any better than what is made by English pork pie company. Best gift in the world for yourself or anybody else that you want to make really really happy!! Ok. The other pies were better, especially the steak and kidney. The pork pies were spot on. Reminded of my grandmother's, and in fact made me feel very nostalgic. Better than I could imagine! Heated up perfectly - next time I will buy lots more! Once again you have it right. These pies are great takes me back home every time I have one. Keep up the great work. The Steak & Ale pie's looked and tasted just as I had Expected and arrived in perfect time. I have recomended them to very one. Fantastic taste!!! Just like when I was in London. My British friend (from Cornwall) highly recommended your company, stating that it was "Best pasties in the US). My first order was fantastic! Baking instructions were spot on, taste was amazing. I can't wait to order again :) Thank you! havent eaten them yet they are in the freezer. We have had them before and were pleased. That is why we re-ordered. My husband, a Yorkshire man, said that your steak and ale pie was the best he had ever eaten (and he is very picky when it comes to his food). I had to come back and order him more to keep him supplied through the winter months in Montana. My son and I are both from Scotland and my husband lived there for 6 years and all agree that these little pies are so close to the steak pies from the UK that to compare them is a waste of time. We loved the taste, the chunks of steak, and the pastry and believe you have hit it the nail on the head. As much as I loved these, at least for my men, being able to order large sizes for these would be helpful. Excellent pies. Seriously, this thing was delicious. We're going to get more of them. YUMMM! SAtisfying and warming. Loved it! These pies were great with mash and gravy. 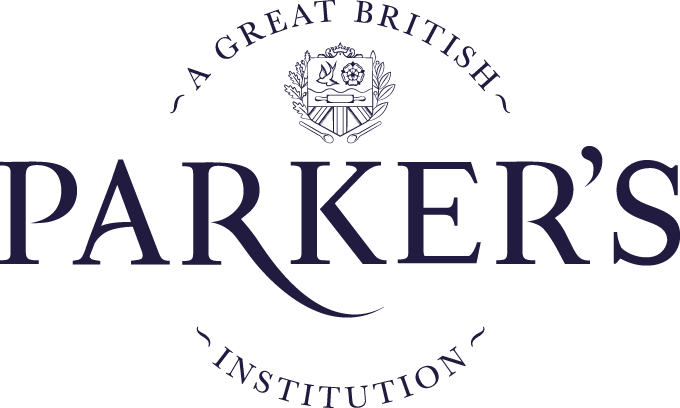 The English food from this company cannot be bettered. The Cornish Pasties are also highly recommended. I should know, i ate four of them they were so good. I really enjoy the pork pies they are very good and Cornish pastie! But not crazy about sausage roll it's too big! Would like to see the small bite size kind like are served in uk ! I just had steak and ale pie, and it's loaded with tender pieces of meat in a fine sauce, I would order this again. Streak and Ale pies arrived in collapsed cardboard boxes and needed to be replaced. Replacements tasted as good as usual. As many ex-pats will note, one of the things one misses is a great pork-steak and ale-chicken-steak and kidney pie.....this is the answer to your prayers. Perfect pastry, meat -filled and absolutely yummy. Thank you EPPC! I love these steak and ale pies and will be buying more in the future. Very tasty!